as well as the further improved Linear Side-Impact Protection (L.S.P. 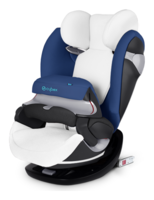 System Plus) which channels the energy of an side impact into the energy absorbing shell of the car seat. The ISOFIX connect system further reinforces the stability and safety of the seat. 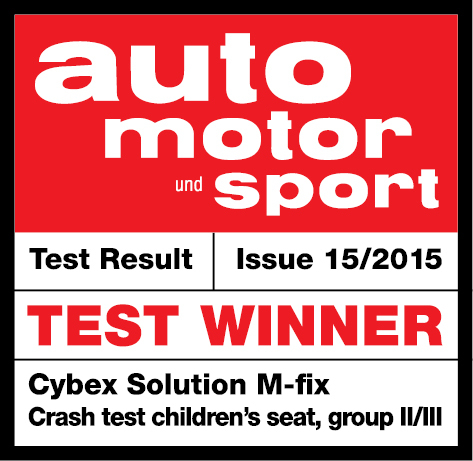 The seat is also compatible with cars that are not equipped with ISOFIX. There it is secured with the cars own 3-point-belt. remains within the safety zone of the seat, ensuring optimal protection. The force of a side-impact collision is absorbed in a linear series of reactions through the use of protective side cushions, along with the shoulder and head protectors. At the same time, the body's kinetic energy caused by the impact is absorbed at a very early stage and the head is actively led into a safe position. The ISOFIX Connect system offers enhanced safety and greater stability in both groups. The seat’s connectors simply snap into the vehicle’s ISOFIX anchorage points. The connectors can be easily folded away making the seat compatible also with cars not equipped with ISOFIX.